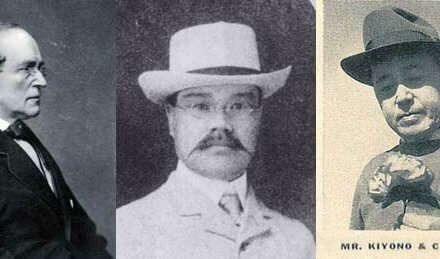 Burpee’s highly recognized horticulturalists have been continuously bringing innovation to the seed market since 1881. It’s that time of year again when the seed catalogs start showing up in our mailboxes. If you’re a new gardener, deciding which catalogs offer varieties adapted to the southeastern United States can be difficult. What to plant and when are the next two important decisions. 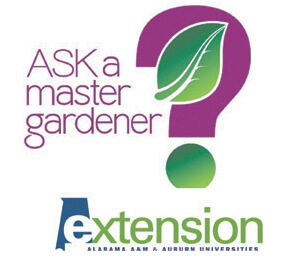 It’s time to “Ask a Master Gardener,” or check the Extension website at aces.edu for two popular planting guides: ANR-0047 Alabama Gardener’s Calendar and ANR-0063 Planting Guide for Home Gardening in Alabama. Individual plant listings may not include climate zone data. If they do it will be numbers from 4-10. Links to the USDA climate zone map are sometimes included. This is the starting point for determining the growing season where you live and a guideline for expected first and last frost dates in your region. Mobile is usually listed as climate zone 8b. Many edibles and flowers will grow in every climate, yet some won’t thrive in areas that don’t get either enough heat or chill time. Some will need to be started indoors before the last frost date. For more information on average last frost dates, check with local county extensions or consult the Old Farmer’s Almanac. Catalogs are usually divided into categories: vegetables, trees, shrubs, perennials, annuals and so on. Once you’ve found the category you’re looking for, plants are listed in alphabetical order. Seed catalogs vary in the amount of information they provide with each listing, but some information is standard, such as the plant name, sun and water needs and the number of seeds per packet. Most catalogs include additional information such as descriptions of each variety, days to maturity, type of seed and advantages specific to climate or growing condition. Look for legends to alert you to specific abbreviations the grower uses. Days to maturity is typically found after a variety name and lets you know how soon you can expect to start harvesting after planting seeds or setting plants in the garden as transplants. It will also tell you when to expect beautiful flowers from seed. It is important to note that the sooner the plant matures, the fewer resources of water, nutrient, and care you will have to dedicate until harvest. Open-pollinated, or OP, seeds are from plants that have been pollinated the old-fashioned way: by wind, insects, birds and other natural interventions. If you save the seeds of your harvest for use the following year, you will get the same variety and plant characteristics as the original plant. Hybrid (F, F1, F2). These are seeds or plants from a cross between two or more known varieties and are often grown for specific traits like flavor or size. Saving seeds from hybrids and replanting them will not guarantee the same plants in future years. Genetically Modified Organisms. Hybrids are not the same as genetically modified organisms, or GMOs. Those are produced in labs by manipulating the DNA of the plants. They aren’t necessarily creating a separate category of types or characteristics as much as enhancing certain characteristics for agricultural advantages. Critics of GMOs object to the altering of the plants’ DNA. Heirlooms. Most people consider anything that was grown before World War II to be an heirloom while others say any seed that has been around for at least 50 years qualifies. Heirloom seeds are from open-pollinated sources. They are sought after for their flavor and their hardiness as well as their historical interest. They’ve also adapted naturally to different growing conditions so finding heirlooms that originated from where you live means they will continue to do well in your garden. You’ll find more sources for heirloom seeds and plants from Seed Savers Exchange, which is often considered the starting point for the growing interest in heirlooms. Many newer companies also specialize in these plants. Disease resistance. There are several persistent plant diseases that can affect edibles, especially favorites such as cucumbers and tomatoes. If certain diseases are prevalent in your area, search for resistant hybrid seeds that have the following notations: powdery mildew (PM), verticillium wilt (V), fusarium wilt (F), tobacco mosaic virus (TMV), tomato spotted wilt virus (TSWV) and late blight (LB). Seeds with the (N) designation have been bred to resist nematodes. Determinate plants will grow to a set size then stop growing. These plants may be better selections when growing space is limited. Using determinate tomato varieties as an example, all the fruit will ripen at the same time. Flowering plants will have a shorter blooming period. Indeterminate plants continue to grow, providing an extended harvest so long as conditions allow. These tomato plants will probably need to be supported or staked and will continue to bear fruit until killed by frost or disease. Flowering plants will bloom over a longer period. If you’re new to garden catalogs, try to remember that all the lovely pictures in the catalog are of mature plants at peak perfection. Some of your perennial plants won’t look that way for a year or two so don’t despair and rip them from the ground. Keep trying—that’s what gardeners do, and gardening catalogs are there to entice us to do just that. Happy planting! When: Nov. 23 – Dec. 31, 2018 (closed Dec. 25), 5-9 p.m.